Mini data centers are sprouting up on the edges of networks – in factories, on container ships, and piggybacked on cellular base stations – as enterprises and service providers look to embed compute and storage capacity closer to where data is being generated. So-called micro-modular data centers (MMDC) aren’t new, and they’re not the only distributed edge computing solution. But they’re growing in popularity with a compound annual growth rate of 42% over the last three years, according to 451 Research. Sales of MMDCs are forecast to reach nearly $30 million in 2018 from $18 million in 2017. While the market appears small, MMDC sales in 2018 will represent about 2,000 new installations and be a part of projects that cost many times greater than that, according to the research firm. “We cannot say that micro-modular as a product category is big today, but we believe that it has huge upside potential, not because it creates something completely new but because it will help address challenges and it will meet demand for highly distributed capacity,” says Daniel Bizo, a senior analyst for datacenter technologies at 451 Research. The desire for localized computing power is increasing as companies advance their digital initiatives. Enterprises are fighting bandwidth constraints and trying to shave milliseconds off response times for latency-sensitive applications. In industrial environments, companies need local data storage and processing capabilities to make the most of data-centric smart systems. Telcos and content distributors are looking to deploy and manage edge-computing solutions more efficiently in response to demand for digital services. “Digitizing the physical world will eat up massive amounts of capacity, and micro-modular should be the first port of call,” Bizo says. What is a micro-modular data center? A micro-modular data center is, essentially, an IT facility encapsulated in its own protective shell. Climate controls, power distribution and network connectivity are built into a prefabricated unit, along with other features such as physical security, fire suppression, shock absorption, and protection from electromagnetic interference. Compact, hardened technical facilities are abundant in the telco industry, and server rooms abound in the branch office landscape. But micro-modular data centers differ from traditional IT outposts. “On a product level, these are much more highly engineered and integrated than the typical IT closet or server room,” Bizo says. The decision to deploy micro-modular data centers will be deliberate – another characteristic that that distinguishes MMDCs from typical IT closet and server room builds. “With micro-modular, the deployment, we think, is going to be less accidental or tactical. It will be more strategic and well planned as part of a bigger architecture,” Bizo says. Who makes micro-modular data centers? Micro-modular data centers come in different sizes. In a branch office setting, a company might deploy a single cabinet design for local file caching, or a multi-rack configuration to create a high-performance computing cluster in an engineering or scientific setting, for example. At the high end, companies could combine a group of cabinets to create a larger micro-modular block with capacities from tens to hundreds of kilowatts, according to 451 Research. Since the second half of 2016, there’s been an uptick in the number of players that are fabricating micro-modular data centers, Bizo says. 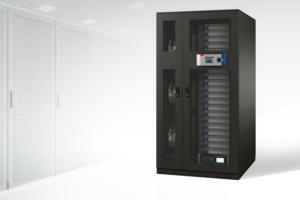 STULZ, a specialist in environmental control equipment, offers its STULZ Micro DC lineup, which includes three scalable rack sizes (pictured at left). Instant Data Centers, based in Tempe, Ariz., offers its Edge line of micro data centers, which include onboard cooling, fire suppression, shock and vibration isolation and standard waterproof containment. Schneider Electric offers its prefabricated Micro Data Center, which includes power, cooling, security and associated infrastructure management and can scale up to 100 kilowatts. The HPE Micro Datacenter from HP Enterprise is a collaboratively engineered system that pairs Schneider Electric’s secure enclosure, UPS, power distribution, cooling and monitoring, with HPE storage, network and compute solutions. 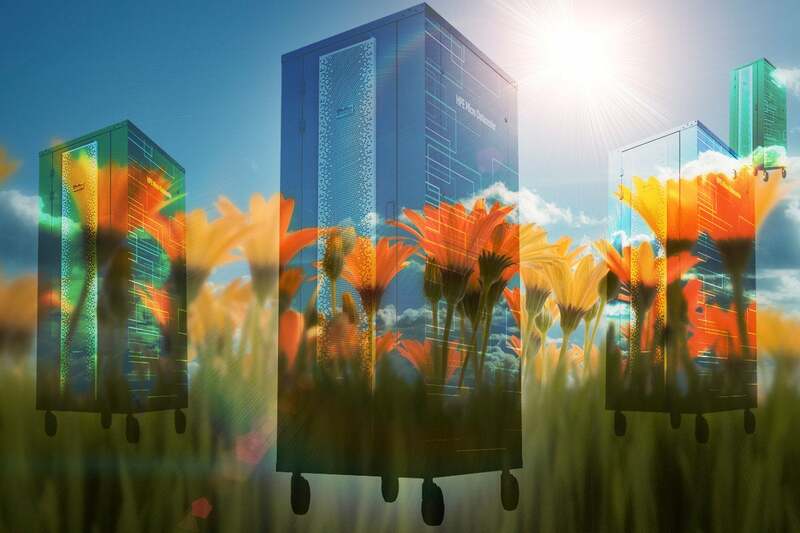 As more processing is driven to the edge, will nascent micro-modular data center sales spike? IoT, artificial intelligence, machine learning and other applications could fuel demand for MMDC systems, Bizo says. And telco providers, in order to optimize their networks and the digital services running on them, are going to need more compute and storage capacity to be deployed across carrier networks: “The thing with 4G and the upcoming 5G wave is that telcos will need much more network functionality, much greater ability to manage networks around the edges,” Bizo says.